You never know when your battery is going to go until it just does. BAM! Happens when your not even in the car. You left work to go grab a bite to eat, uh oh you're running late getting back to the office because the line was way too long at Chik fil A. You get in your car and you hear that sound. Oh no, not now! Push the gas pedal a couple times to prime it. Look, if you knew when a dead battery was going to strike then you wouldn't be here reading this, but no genius has developed a tool yet, for whatever reason, that's been able to tell us when its about to go (at least I haven't seen one I would say is genuinely reliable). So now your stuck. Maybe you'll get lucky and there will be some chivalrous gentlemen with a truck near by that actually carries jumper cables these days. However, its not likely. So give us a shout. Our drivers are already out and about Memphis. We will have one drop by. 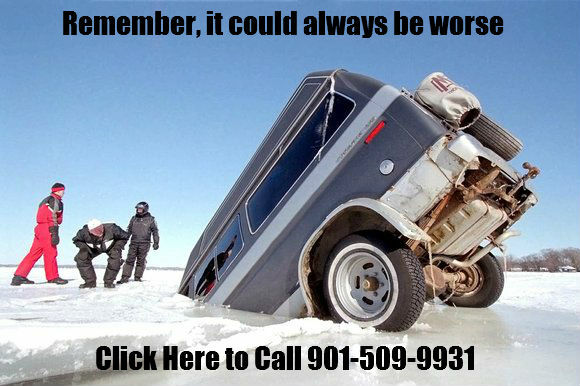 All our trucks are fully equipped to help you assess the issue and get you back up and running. Call now or request a quote! We would love to serve you!